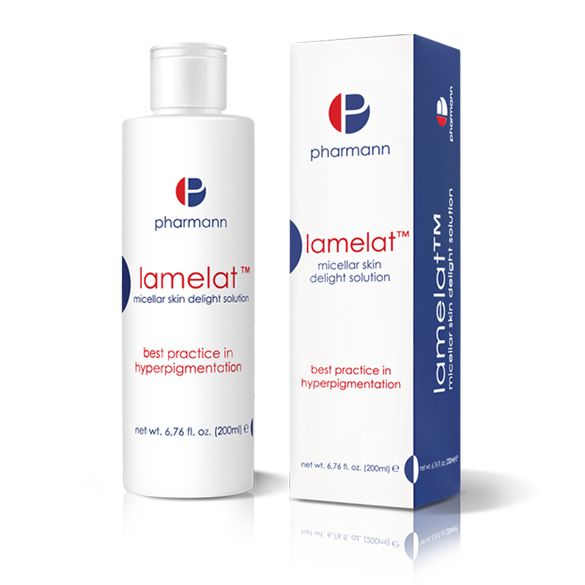 Lamelat™ whitening cream is intended for evening care of the face, neck and neckline. Thanks to the content of highly potent active ingredients and the technology of encapsulation of the whitening peptide contained in the cream, effectively reduces pigmentation lesions and significantly lightens and evens out the skin tone after only 4 weeks. Used regularly reduces the visibility of pigmentation spots and prevents the occurrence of new discolorations. Biomimetic whitening peptide – an innovative, highly advanced, unique component with whitening properties, delivered into the skin via the liposomal structure. Whitening peptide easily penetrates to the deeper layers of the skin, providing a sustained release effect and thus resulting in improved efficiency. The whitening peptide’s effect involves the inhibition of the process of melanogenesis (synthesis of melanin, i.e. the skin pigment) by affecting the MITF (microphtalmia associated transcriptional factor). Thanks to this, it affects melanin production (by inhibiting its excessive synthesis). This allows for an optimal skin lightening effect, inhibition of the formation of pigmented lesions and alignment of skin tone. It shows more efficiency in reducing melanin synthesis in melanocytes than Arbutin and vitamin C. Its effectiveness and safety profile have been confirmed in clinical trials. D-Panthenol (prowitamin B5) – provides long-lasting moisturizing, gives the skin softness and smoothness. Possesses a protective and anti-inflammatory properties. Soothes irritations and stimulates the regeneration of cells. Allantoin – the active ingredient of plant origin with keratolytic, moisturizing and irritation soothing properties. Supports the renewal of skin cells, acts as a barrier that protects the skin from excessive drying and affects the moisture retention in the skin, making it smooth and moisturized. Shea Butter – moisturizes and nourishes the skin, which becomes smooth and soft. Protects the skin from drying, delaying the aging process and the formation of wrinkles. Strengthens the lipid coat of the skin, effectively protects against the external factors harmful effects and soothes skin irritations. Apply a layer of the cream into cleansed skin (e.g. 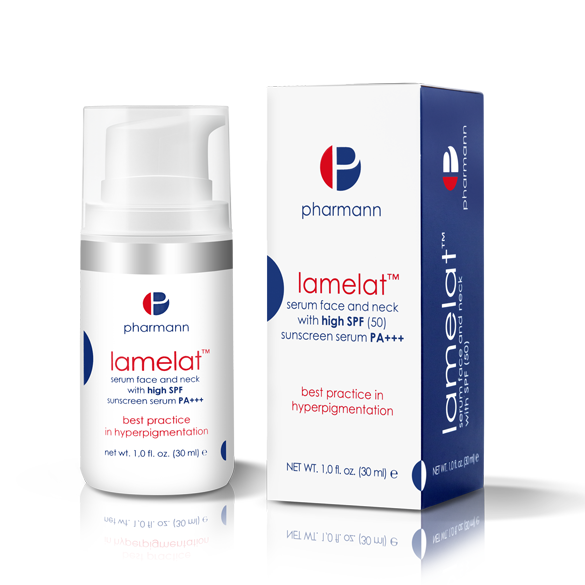 using Lamelat™ micellar skin delight solution) of the face, neck and neckline and leave to absorb. Use in the evening.